Creating vibrant, colorful flowers from plain white flowers is really easy to do and a fun way to study plant vascular systems. 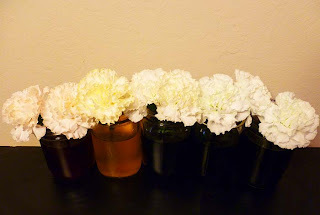 Any white or lightly colored flower will work well, but carnations are particularly fitting due to their sturdy nature and petal structure. Freshest flowers will soak up dye the fastest. 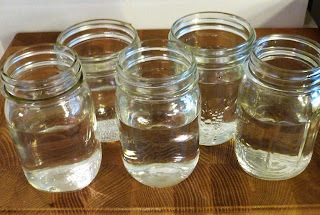 Fill the jars or cups with lukewarm water. 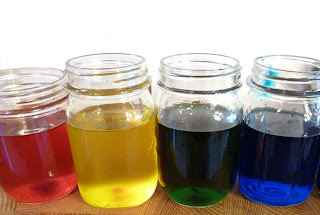 Add several drops of food dye to each jar. 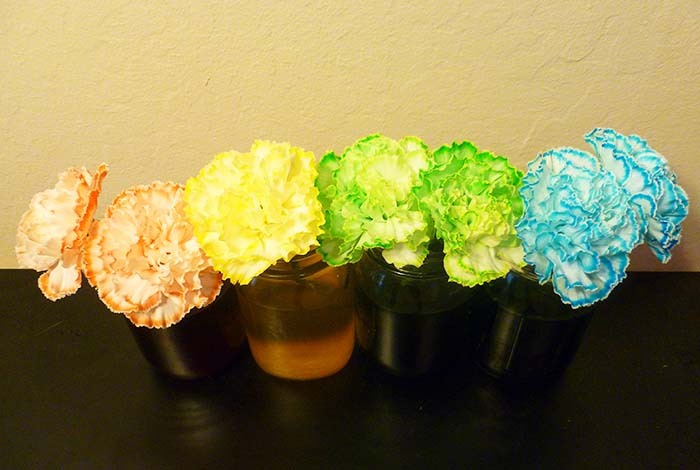 The more food dye added, the more colorful the flowers will be. Stir the dye into the water. Cut the flower stems at an angle. Shorter stems will cause the flowers to soak up dye more quickly. 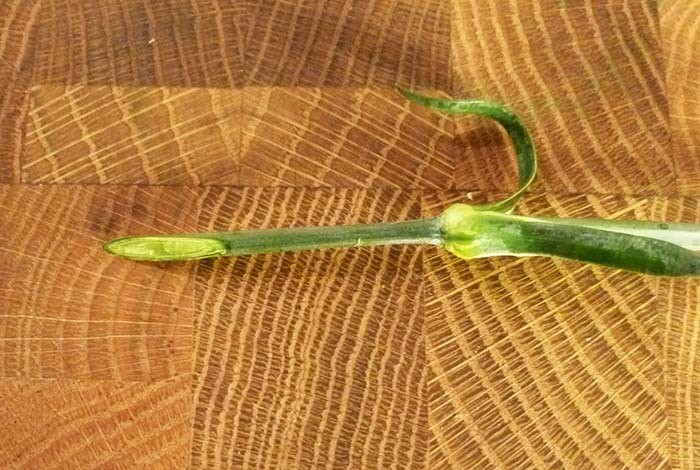 Cutting the flower stems under water can prevent air bubbles from getting trapped in the stem's vascular system; these air bubbles can prevent the dye from being soaked up to the petals. Set the flowers in the jars of dye. After about an hour the petals will have a subtle hue. Here are the flowers after 3 hours. Here are the flowers after 24 hours. They were left in the dye for another day without any huge difference. 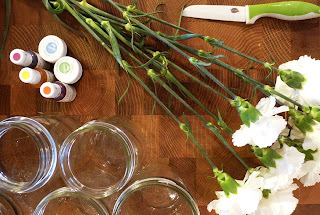 Once the flowers are the color you desire, you can rinse the dye of the stems and place them in clean water. It's possible to create flowers that are tie-dye or multiple colors by carefully splitting the stem and placing each part in a different container of dye. 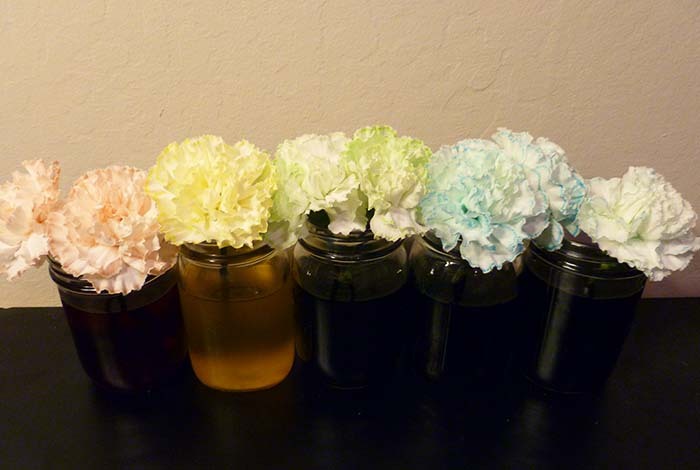 The flowers can transfer the dye from the jars to the petals through their vascular system. Most of the plants we see everyday are called vascular plants. Trees, ferns, grasses, and flowers are all vascular plants. These plants have special tissues that circulate water, minerals, and nutrients around the plant. Water and minerals are first absorbed from the soil by the plant’s roots, which are then moved around by xylem. Xylem and phloem are the two types of transport tissues. Xylem form long tube-like vessels that help move water around the plant, while phloem carry the sugars made from photosynthesis. Both xylem and phloem also help support the plant and give it structure. 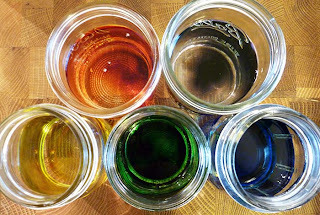 · Capillary action, the attraction between a liquid and the tube it is in. This is the force that pushes a liquid up a wick or a cloth with one end stuck in the water. · Transpirational pull: Water in a plant’s leaves and other surfaces evaporates into the atmosphere. This leaves a small pressure difference at the surface which gives a little pull to the top of the vascular system. · Root pressure: Osmosis is the process of a liquid or gas moving through a membrane, such as a cell membrane, because one side has a higher concentration of solute. Liquid moves into the roots of a plant through osmosis and this gives a little push to the bottom of the vascular system. With these processes, water and nutrients can be pushed up more than 100 meters in redwood trees! By cutting the flower stems at an angle, more of the xylem is exposed to the dye, coloring the flowers more quickly. The dyed water travels through the xylem to all parts of the plant. The thin, white petals allow the dye to be seen very easily. Celery stalks have very visible xylem; it’s that stringy fiber that makes it hard to chew sometimes. Try soaking a celery stalk in dye and slicing it in half. The individual xylem vessels will be easy to see. 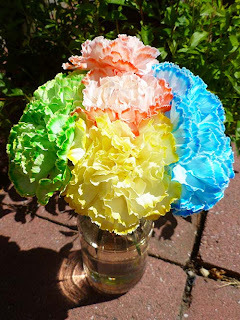 The celery leaves will also end up colorful like the flower petals!